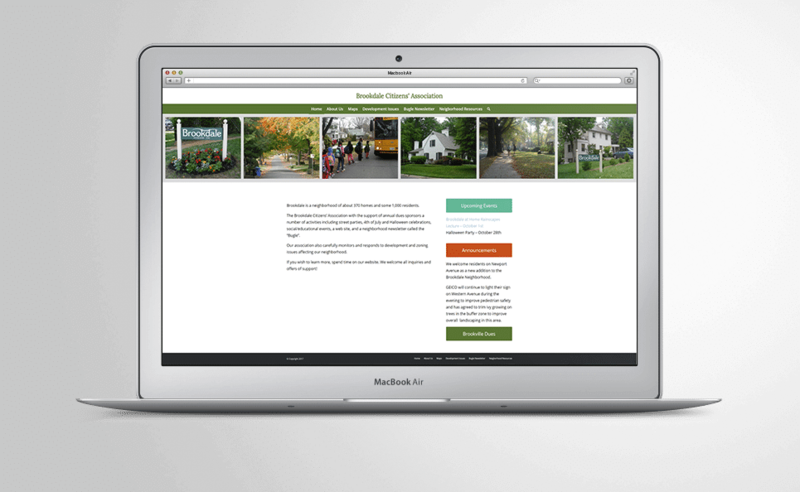 The new Brookdale Citizens’ Association website is visually appealing and representative of the Brookdale neighborhood. The content is organized, searchable, and easily accessible. Visitors can become members, pay dues, and make donations from the home page. The home page contains event information that reinforces the organization’s value to the neighborhood. A section of the site is dedicated to neighborhood resources. If there are neighborhood businesses, they could be paying members with higher visibility.